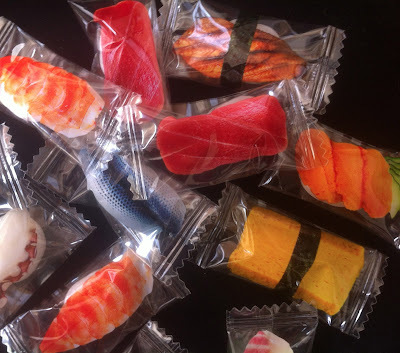 Frankly, I don't know who makes these sushi candies. My Mom picked them up at a one-day Japanese market in Grand Central Station in New York. The hard candies themselves are simple white pellets that taste of coconut and pineapple and maybe some other exotic tropical fruits. It's nothing to write home about. 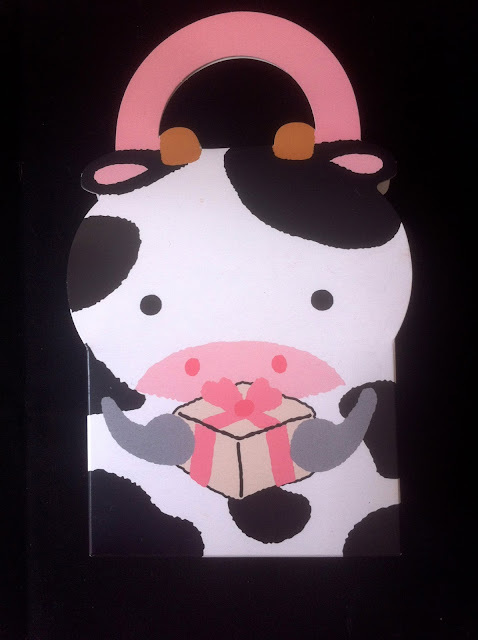 But the packaging! The packaging is fantastic! 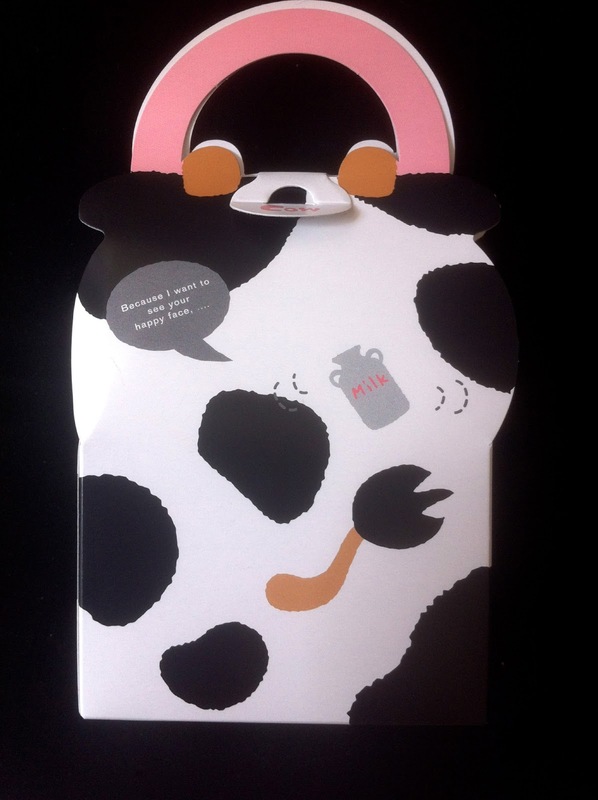 First, the cow box that unfolds and reads "Because I want to see your happy face" on the back. Then the assortment of candy wrappers, all classic sushi pieces. Simple and Brilliant!! 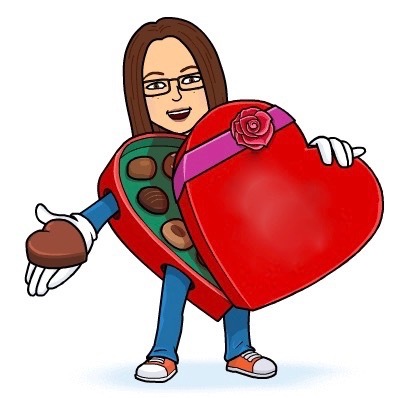 Thanks, Mom!